Support dual band: 62xx support both 2.4Ghz and 5Hz frequency band. 6200 and 6205: Reading the product brief, I did not see any differences in terms of feature sets. 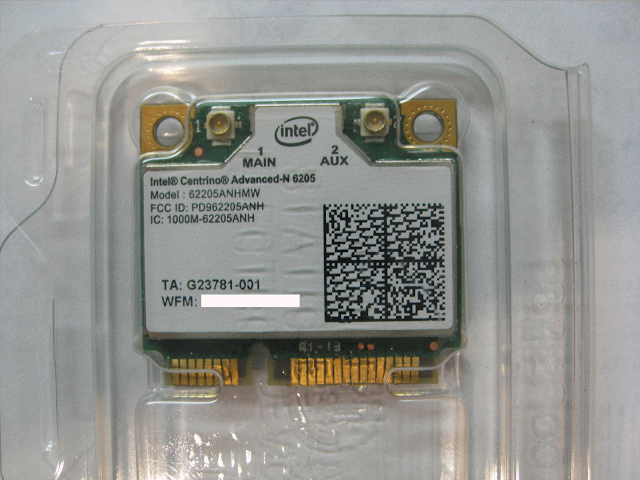 So, I end up buying Intel Advanced-N 6205 (62205AN.HMWWB) from ebay for $18 + $4 shipping, as it's the cheaper than 6200. 6230: has integrated Bluetooth. If you want Bluetooth option, you can try this. Though I have NOT tested it. 6250: has WiMax. Don't know if this will work. Plus, I don't need WiMax servies anyway. Download software and driver : Google "intel wireless 6205 driver download" should lead the Intel Driver download site. My U43JC is running Windows 7, 64 bits, so I downloaded "ICS_s64.exe". Remove Screws : Remove battery, and disconnect power adapter first. Then, start to removes all screws. 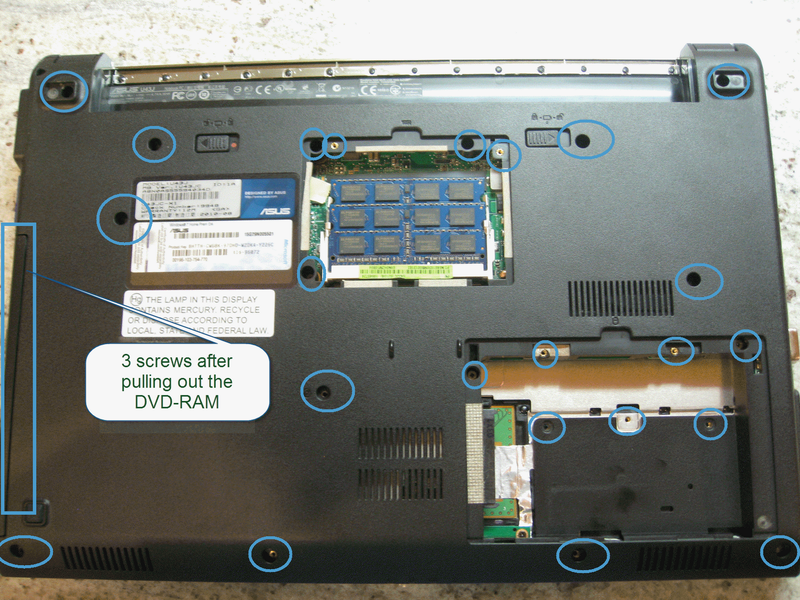 The screws are in various sizes, so make sure you keep track where the screws are removed. I lined them up on the table, just like the orientation on the notebook. Remove all the visible screws in the back. Take out hard drive bay cover, and hard driver. Then, remove the screws behind the hard drive. Remove the screws behind the two rubber feet near the hinge. Starting from the corner, I use a plastic card to pry open the keyboard slowly. You only need little force to lift up the entire keyboard. 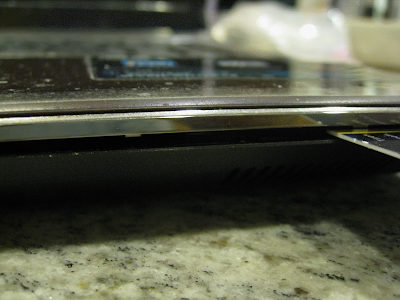 If it gets stuck, it is more likely the screws are not completely removed. You don't have to remove any ribbon cables. 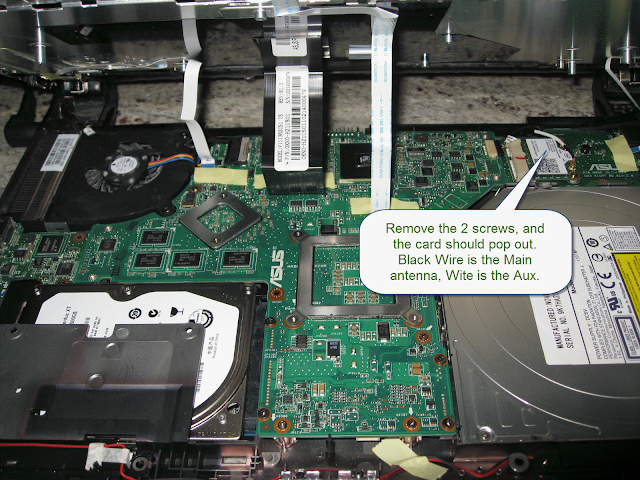 Remove the 2 screws around the wireless card and antenna cables. Then, replace with new card. Temporarily put back the hard drive, connects to the power adapter. Your U43JC will boot up, then install the new software driver. After the software driver installation completed, do some testing to make sure the new card is good. In my master bedroom, I used to get poor reception. With the new card, I can get around 24Mbps speed. At this point, you are all set. Just put everything back, Hard Disk, DVD burner, and .. etc. This guide is exactly what I needed. Thanks! Exactly what I needed as well, thank you! Much obliged to you for offering to us! substance exceptionally accommodating and instructive for me, as it contains a ton of precise itemizing about the point, which I was scanning for.